Make sure you know how to package your dry ice for shipping before sending it out. Dry ice is commonly used to ship a number of perishable foods. 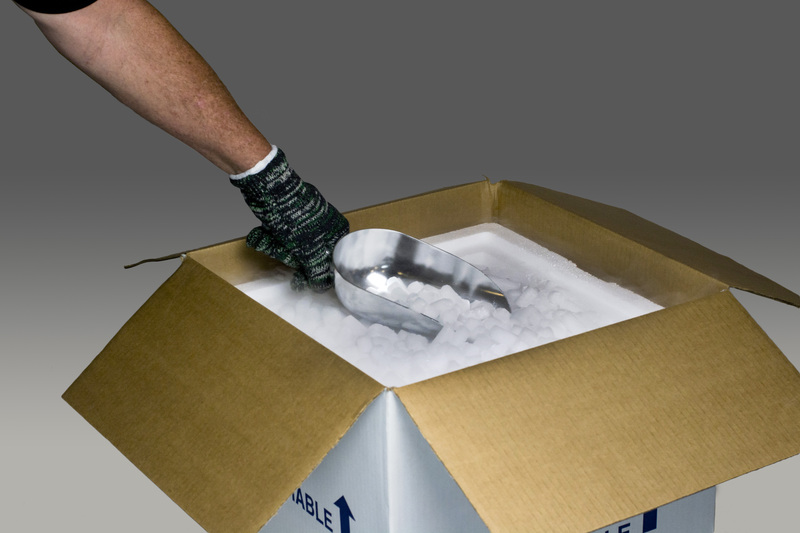 If you find yourself shipping perishables, you can pack them with dry ice. This will make sure that they stay fresh and wholesome over the course of their trip. However, shipping food using dry ice presents certain challenges. It is very important to do your best to ensure that you have packed all of the items very carefully. You also have to deal with correctly filling out the paperwork and choosing the correct safety labels that are required when it comes to packages containing dry ice. Follow these tips to ensure shipping with dry is is safe, easy, and effective. Before you can pack materials using dry ice and even think about shipping them, you must have the dry ice. Dry Ice Corp offers dry ice for this purpose, though it can be purchased from several other sources. Some UPS or FedEx stores sell dry ice. After purchasing dry ice, you will need to make sure you have the right material to pack it safely and securely. Dry ice releases carbon dioxide, which is potentially hazardous if it is not contained by the packaging or if the packaging ruptures during transit. It’s important to use a material that allows the release of pressure if your package is pressed down by other packages during shipment, so it does not rupture. High-quality fiberboard, plastic, and wooden boxes are ideal for shipping involving dry ice. Avoid using steel drums or jerrycans. Make sure to take all precautions when handling dry ice so it does not touch your bare skin. Pack the box carefully so all of your food is protected, and then make sure the box is properly labelled, depending on where it’s going, and accounted for so shipping is safe. Be prepared for extra costs. Dry Ice Corp is the largest regional supplier of dry ice products and customized delivery services in the Northeastern United States, from Virginia all the way up to Maine. And because our dry ice is supplied by manufacturing plants located right here in the Northeast, we can guarantee freshness. Other suppliers, meanwhile, get their dry ice from manufacturing plants as much as 1,000 miles away, which has a direct impact on product freshness. Ready to get your dry ice? Search for Halal restaurants near me and you will come across HalalGuide website which gives you accurate information about Halal eateries around you. All places are validated by users or owners as well as HalalGuide team. Visit HalalGuide to see the list of restaurants instead of googling halal restaurant near me which won’t give you accurate results. HalalGuide website or mobile app can also allow you to book a table, get cashback off your bill and order food online to be delivered to you. To connect with us online, be sure to follow us on Facebook, Google+, Pinterest, and Twitter. This entry was posted on Friday, July 15th, 2016	at 10:59 AM	and is filed under Shipping with Dry Ice	. You can follow any responses to this entry through the RSS 2.0	feed. Both comments and pings are currently closed.